Here at Hennessy Ltd, we pride ourselves on attention to detail and customer care. We have a great passion for providing communities in and around London and Kent with first class building services and always ensure that fully insured, highly skilled tradesmen carry out our work. We offer a wide spectrum of services, from internal building works like plastering, plumbing and painting to external building jobs like patios, driveways and ground works. No matter the style or scale of your project, we have what it takes to turn your vision into reality. Our design and build service is devoted to clients who want to deal with only one contractor for their entire domestic or commercial project. At Hennessy Ltd, we are aware of the confusion and complications dealing with several trade contractors at one time can lead to. It is for this reason that we offer a full-service package that covers all aspects of the design and build of your project, from concept right through to completion. We have excellent partnerships with specialist architects and interior designers across all areas, including residential, retail, office and commercial. Hennessy Ltd is able to offer all of the professional services that may be required for your project. This allows us to provide clients with greater accountability and far lower costs. Hennessy Ltd can guide you in every aspect of building, and is happy to work with you in the design of your project, as well as the construction of it. Our architect services include client design meetings, sketches, pre-planning consultations, photographic surveys, planning reports, building control applications and technical detailing. We use a range of techniques to identify any critical issues before work starts, to help save you both time and money. At Hennessy Ltd, we are committed to contributing convenience to our clients. It is for this reason that we offer a service in which we are able to speak to local authorities on your behalf. When you hire Hennessy Ltd, you rest assured that we can deal with all the planning applications for you. Quality home improvements have the ability to breathe new life into a property and ultimately add more value. We offer a comprehensive selection of home improvement services, including extensions, loft conversions, conservatories, new kitchen installations and bathroom renovations. What's more, we are able to manage your project from the initial design stage right through to completion. Hennessy Ltd offers a range of building restoration services across London and Kent. We are highly knowledgeable and skilled in stone, brick, granite, terracotta and concrete repairs and restoration. We can carry out chemical cleaning, sandblasting, stone carving and crack stitching, among many other things. So, whether you are in need of a stone repair or perhaps a listed building cleaning, we should be your first and only port of call. Hennessy Ltd is able to undertake all roofing works, from flat roofs to tiled roofs and everything in between. We provide repair services for gutters, felt work, slipped titles and fascia's as well as full conversions. So, no matter how major or minor your roofing project is, we are well prepared to help save the day! Whatever type of service your kitchen requires, Hennessy Ltd should be your first choice. Not only do we offer a range of high quality services to cover all your possible needs, we also have great consideration for our clients. We understand how integral a kitchen is in any home, which is why we always ensure that all works are carried out quickly and efficiently to cause as little disruption as possible. Whether you need a bathroom designed, fitted or fixed, Hennessy Ltd have you covered. We offer excellent plumbing services and are fully equipped to source and fit all types of lavatory appliances and furniture. Talk to one of the team today to discuss your individual requirements! Through continuously exceeding the needs and expectations of all clients, Hennessy Ltd has built a reputation for outstanding repairs maintenance. We understand that certain repairs need to be undertaken quickly as well as efficiently, which is why we offer a responsive building repairs service for residential and industrial properties in and around London and Kent. At Hennessy Ltd, we're proud of providing a prompt and prestigious plumbing and heating service. Our team is trained to deal with a wide variety of plumbing, heating and drainage issues and is set to assist and advise you at any time. If you’re having problems with your heating or plumbing system, please do call us today to see how we can help. Our electrical and lighting services complete our full service offering. We have experienced electricians who are able to carry out emergency repairs, complete installations and surveys. They deliver consistent quality and confirm fees up front, ensuring customer satisfaction on each and every job. Hennessy Ltd employs only highly experienced, trade-accredited glaziers to deliver double glazing services to those wanting to improve their home or business premises. Our glaziers are competent in window replacements, draught proofing and security improvements. 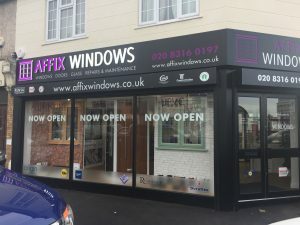 What's more, they're devoted to delivering excellent customer service, so if you have any questions about your own double-glazing project don’t hesitate to contact us. We provide a full range of scaffolding and access solutions and offer whole market coverage here at Hennessey Builders. We work with domestic, commercial and industrial sectors to advise, plan and design systems that will meet specific project needs. Our scaffolding service is high regulated with health and safety in mind, and each of our workers are CISRS carded to the relevant grade to ensure the upmost efficiency. Need the type of quality you can count on? Hennessy Ltd delivers exactly that to domestic and commercial customers in and around London and Kent. Our painting and decorating services are unmatched – we get the job done on time, each and every time, and never compromise on quality or surprise you with hidden costs.